This was more than just a random attack. This was a “squatter” hiding in a man’s garage – with knives and a hammer – planning to ambush the property owner. 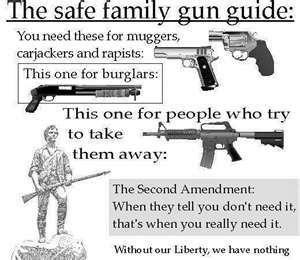 This is why you need the Second Amendment. From KIRO 7 News: A Lake Stevens father said he was forced to fight off an armed intruder he and his son found hiding in their garage Friday. The evidence he found in the aftermath made him believe that man may have been looking to ambush him. Now the intruder is in custody, but that Lake Stevens dad says he found nearly a dozen weapons strategically placed throughout his garage. Shane McDaniel owns Norm’s Market — a minimart and keg-and-bottle shop in Lake Stevens. He said he came to check on the garage and workshop with his adult son, because his mother called and said someone had been working in the yard and garage all day Friday. She thought it might’ve been an employee, but said the man kept looking over at her and seemed suspicious. Outside the garage, the intruder had pulled together many large slabs of wood – McDaniel said, apparently trying to form some kind of barricade. But when he, his son and his son’s friend walked inside, that’s when the real trouble started and the intruder attacked. “It’s really a bizarre scene. And the scary thing is somebody could be that comfortable, and set up an ambush point in your own garage,” McDaniel said. He said when they walked in, the door was open. “He was hiding behind the door here and then he had another knife over here,” McDaniel said. He said the suspect kept reaching inside his coat and appeared to be reaching for a gun. “He tosses the knife down with this one and he continues to reach so I fired the warning shot off to the side,” McDaniel said. He said the suspect didn’t give up. “Then he just goes into full combat fight, he’s going to fight all of us,” McDaniel said. He said they got into a fight but he and his son were able to pin down the suspect. McDaniel said at least a dozen law enforcement units arrived and ended up arresting the intruder. They also questioned McDaniel about the gunshots he fired. Only after the arrest did McDaniel and his family notice everything the intruder did while inside his garage – and all the weapons strategically placed around workshop. “He had a machete here that he brought with him,” McDaniel said. “He had a claw hammer. These are all his knives, he’s got a knife here, another one here,” he said pointing to all the knives. McDaniel said they use the garage and workshop to refurbish wheelchairs and electric scooters they donate to people in need. Those wheelchairs – about seven or eight of them – were all arranged in a sort of circle and many of the knives were sitting on the chairs. “There is no way you’d have seen all knives stationed all around, machetes hammers axes. He made an ambush trap,” McDaniel said. On one of the chairs, McDaniel said the suspect also left a syringe. “He’s probably sitting in here paranoid out of his mind, so he’s got these weapons and he’s ready for combat,” McDaniel said. There were also beams with nails sticking out at the end, wires attached to the ceiling, a fort-type structure with car jumper cables attached to it, and a bong left behind by the intruder. McDaniel believes the suspect camped out in the garage for at least a day or two. He said the suspect even changed the lock to this door and wrote his last name – Simpson – on the outside of the door, making himself at home. “Do you think things would’ve turned out differently if you didn’t have your firearm?” KIRO7’s Deedee Sun asked. “Oh I think definitely, he’s got this place laden with weapons. So I think that would’ve been a good way to get stabbed,” McDaniel said. The Snohomish County Sheriff’s Office hasn’t confirmed the identity of the suspect yet, but it appears he has been booked into the Snohomish County jail. McDaniel said he’s just glad his mother noticed something strange going on and the intruder wasn’t able to ambush someone defenseless. How many convictions does it take for Seattle City Attorney to place a homeless criminal in jail after his latest assault? A woman who lives in the Ballard area of Seattle told MyNorthwest.com that she feels “terrified” and “vulnerable” after the latest incident in which someone broke into her garage. One morning she came out of her house with her daughter and noticed her garage doors were open and didn’t know if an intruder was still on her property. Turns out no one was in the garage yet she is still fearful. That’s because this is not the first time she’s had intruders on her property. “The Old Ballard resident had reason to be scared — she said that this is not the first time that criminals have targeted her home. A drug addict tried once tried to break down the French doors to her bedroom. On another occasion, a prostitute came to the door. She believes the reason for this uptick in crime on her street lies in the city’s decision to demolish three homes surrounding her house. That opens up opportunities for squatters, she said. The concerned mom said that the streets of Ballard were not always like this — in fact, it is just in the past four years that crime has become so rampant. She wants to be clear that “it’s not all of the homeless people who are doing this — it’s a small percentage, and they’re making our lives miserable.” The Seattle resident would like to see drug addicts and homeless people get the rehab and housing they need, but worries that until this happens, because of city policies, Seattle’s law-abiding residents are the ones who are most at risk. You get what you vote for, people. And in Seattle, that means you get a record number of homeless criminals who are never held accountable for their actions. See one of my many, many blog posts about Seattle’s homeless crisis here, here, here, here, here, here or here. Seattle is having a major winter event (thank you climate change!) and a woman left her apartment (in one of the many hilly areas of Seattle) to stay with her parents so she could avoid the steep streets in the Beacon Hill area. “When the snow hit last week, Natalie (name changed) stayed at her parents’ house in Medina from Monday through Wednesday to avoid driving up Beacon Hill’s sloped streets. “I start grabbing my stuff from him and he yanked it back, screaming, ‘Ask your landlord!’” Natalie described. He pushed her to the ground and ran away with her suitcases in tow. Natalie said that looking back, she wishes she had run after him or caught him on camera to show police, but that the fear and shock of that terrifying moment paralyzed her. “I was so scared and freaked-out that I didn’t know what to do,” she said. When Natalie walked in the door, she found a wasteland instead of the comforts of her home. “My place was completely trashed,” she said. A flat-screen TV, medications, gift cards, and, most importantly, irreplaceable jewelry from Natalie’s late grandmother were all gone. The squatter appeared to have also stolen everything out of Natalie’s bathroom, as well as all of the food in her fridge and pantry. Her clothes were still in the apartment, but the squatter had brought Natalie’s garbage in from the bins outside and dumped it all over her clothing, along with drugs and drug paraphernalia, to the point where Natalie had to throw out her entire wardrobe. Her sofa, now full of cigarette burns, is also ruined. Bizarrely, the squatter appeared to have wreaked haavoc with Natalie’s furniture for no apparent reason, she said. He threw her bed and brand-new mattress-topper against the wall. Bathroom towels were shoved in her toilet. He took the Plexiglas off her windows and replaced it with her shower curtain and bed-skirt. Natalie found her underwear in a cupboard above her flooded sink. Police took photos of the ruined residence, got a description of the man, and tracked his scent with K-9s for about a mile down the road before losing the trail. Neither Natalie nor law enforcement have much hope of the squatter being caught. After cleaning as much of the ransacked apartment she could with her father and boyfriend, Natalie handed in her keys and walked away from the place she had once called home. “He ruined everything I have ever owned,” she said in an email to Dori. A lifelong Puget Sounder, Natalie is devastated by what Seattle has become. 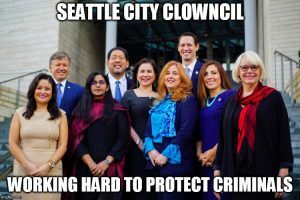 Seattle has a homeless crisis that is exasperated by the fact that the bureaucrats do not enforce laws related to loitering, trespassing, public defecation, drug use and prostitution. A homeowner in the Magnolia area of Seattle tried to sell her house this past summer and was stalked by a “squatter” who had mental issues. The squatter claimed the house was his, trespassed on her property and tried to introduce himself as the new homeowner. “Soon after Lisa (name changed) put her Magnolia home on the market in late July, she said that a strange man began intruding on her property and in her home, acting like he lived there; setting up tents on her property, sometimes with another man; taking photos of her yard and neighbor’s yards and putting them on social media; introducing himself to neighbors as the new buyer of the house; and attempting to get into their homes by pretending to be an exterminator. “We didn’t know what this guy was capable of for a long time, and so we were being as vigilant as we could … You don’t know what type of person you’re dealing with,” she said. Lisa, who has since sold the house, had said at the time that despite living in terror for a week, police did not go after the Magnolia squatter in a timely fashion; it was not until after her story had been featured on the Dori Monson Show multiple times that police finally gave her a response she felt was appropriate to the situation. “It took going on the show to get any response,” she said. That said, she remains very grateful for the diligence and attention shown to her case after that by a Seattle Police Department task force. “They came by the property every single day … I was really pleased with the response that we ended up getting after the show, so a shoutout to SPD,” she said. While this was going on, Lisa figured out the man’s address and workplace through some sleuthing of her own. She gave this information to police, who initially said that they could not do anything because he lived out of their jurisdiction, but later were able to go to the man’s house and arrest him. However, the Magnolia squatter spent just “24 hours and 10 minutes” in jail, according to Lisa. She pressed charges — which resulted in a grand total of a protection order, a $25 bail charge, and 30 hours of community service for the man. “Only 30 hours of community service, Dori, for all that we endured — 30 hours of community service,” Lisa said. Luckily, the judge did order the man to obtain mental health treatment, which Lisa sincerely hopes will aid him. While she is disappointed that he did not serve a greater sentence for all of the fear and emotional turmoil he caused her, she no longer worries about the effect that this man will have on her life. I’d bet the odds are pretty high that this squatter isn’t going to attend court-mandated mental health treatment program. And that the odds are pretty high will keep hearing about criminal activities in Seattle going unchecked. Every week I read another story about the homeless committing crimes against law-abiding citizens. The bureaucrats are allowing the criminals to rule the city and they are non-responsive to citizens’ calls for help. The latest example? A woman complained for MONTHS to officials about an illegal RV encampment and the dangerous dogs in that RV. Not one person took any action. She was later mauled and her dog was injured as well by the squatter’s dogs. “An illegal RV encampment resulted in one SoDo business owner being mauled by dogs — and the city has still not forced the RVs to move. Leslie Clifton noticed a few months ago that two RVs had set up camp across the street from the business she owns in SoDo. She was alarmed by the behavior she witnessed, notably the way that they let their three aggressive dogs run around freely. “I’ve been very concerned with their actions and the way that they’ve reacted to us,” she said. Clifton called Seattle City Councilmember M. Lorena Gonzales’ office, as well as the Seattle Police Department and King County Animal Control, over and over for the past few months, yet the RVs remained. She worried for months that a violent incident would occur. Last Friday, Clifton said, “things just escalated to the worst case scenario.” While Clifton was taking her 150-pound Great Dane, Lily, for a routine walk, one of the RV inhabitants opened the door and let the three attack dogs out. Two of the dogs attacked Clifton’s dog, Lily, giving the Great Dane over 15 puncture wounds that needed stitches. While Clifton was trying to tear the two dogs off of Lily, the third dog — which Clifton believed was “the most aggressive of the pack” — charged at her. While the dog viciously ripped into her skin, Clifton said, at least six of the RV-dwellers were simply standing on the sidewalk and watching. “They were all standing on the sidewalk just watching this whole thing play down while I was screaming for my life, begging somebody to help me, to call 911, asking them to get control of their dogs, and they did absolutely nothing but stand there and watch it happen,” she recalled. Because she was bleeding so profusely, Clifton’s son rushed her to Harborview Medical Center for treatment. Clifton said that what is killing her is that she has been repeatedly calling the city and begging for anyone to hear her pleas. She even made sure to go about things the right way and not take up the Seattle Police Department’s emergency line. Now, even after this local business owner was mauled by dogs, the RVs are still sitting on the same SoDo street. Clifton has been told that the RVs will be asked to leave on Friday, but she knows that they will be back after a few days. “To be honest with you, I don’t even know if they really got a citation,” Clifton said. 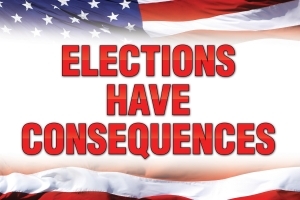 You’d better wake up Seattlites. You city is heading toward chaos right before your progressive eyes. Now a poor business man is facing a major loss – to the tune of $1.3 MILLION – because the Seattle police would not do anything about illegal squatters on the man’s construction project. “Adam Salmon, whose business, Eugene Sherman Development, has been building seven row houses on 43rd Street just off Aurora, said that a group of drug-using squatters have refused to vacate the property for months, even becoming belligerent when asked to leave. He is almost certain that one of these men caused the fire that robbed him of a large part of his livelihood. Now he is out $1.2 million to $1.3 million, and the project that has been under construction for the past year is reduced to a pile of rubble. Eugene Sherman Development — named for the first names of both of Salmon’s grandfathers — is small, Salmon said, and tremendous losses like this one are not easy to absorb. “It’s one of those punches in the gut that you have to pull yourself together,” he said. Insurance does not cover all of the costs of getting the Wallingford construction project back to the state it had been in. The squatters have caused Salmon’s company grief for the past several months. Salmon said wryly that it was “a ritual every morning” trying to get the drug users to leave — in particular the group’s ringleader, who was “very defiant” when confronted. Each morning, Salmon and his employees found feces around the site. His employees were afraid of stepping on needles, and sub-contractors even refused to come to the project site out of fear. “We had to spend our time chasing them each day, and then cleaning up the work site,” Salmon said. Salmon has called police to the site several times, but to no avail. He and his workers put up “No trespassing” signs and fences around the property at the police’s suggestion. “No matter how secure we attempted to make it, they found their way in every evening,” he said of the squatters. On top of this, Salmon has another construction project in a different part of the city in which he is experiencing similar problems with the homeless. 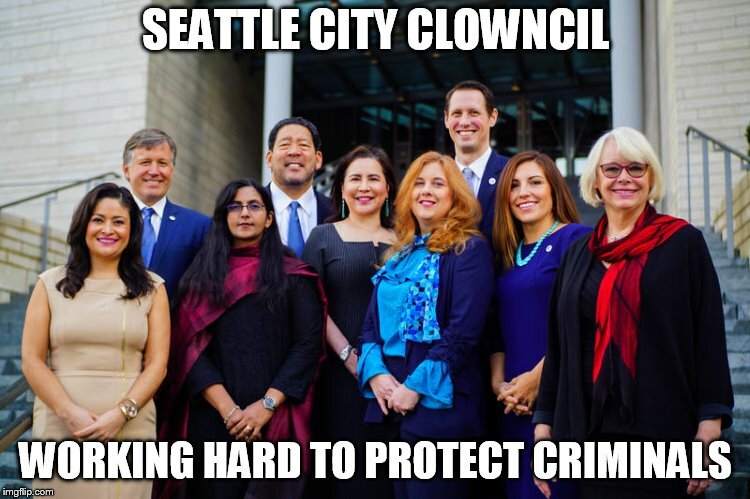 Seattle voters better wake up. Your city is going up in flames right before your progressive eyes.